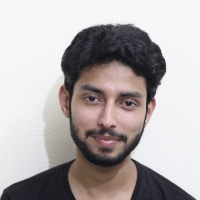 Amaan Shah completed his graduation in Journalism & Mass Communication from Graphic Era Hill University, after that he did a course in Electronic Dance Music from Beat Factory Academy, Mumbai. Ever since he has been a Musician and is the only Asian Acpad Player on Youtube with 71000+ subscribers. An Acpad player is a person who can program different beats on acpad and play those while performing on guitar. "After doing my schooling from Scholars Home, I did my graduation from Graphic Era Hill University, Dehradun. After that did a course in EDM Production from Beat Factory, Andheri and have been a Musician ever since. I am the only Asian Acpad Player on Youtube with 71000+ subscribers." Music Youtuber is that person who makes songs or sings ones, record videos of the same and upload it on digital platform like youtube. "After doing my Schooling, I did my graduation from Graphic Era Hill University, Dehradun and then a course in Electronic Dance Music from Beat Factory Academy, Mumbai. I am a Music Youtuber since 2013 and with more than 69k subscriber."